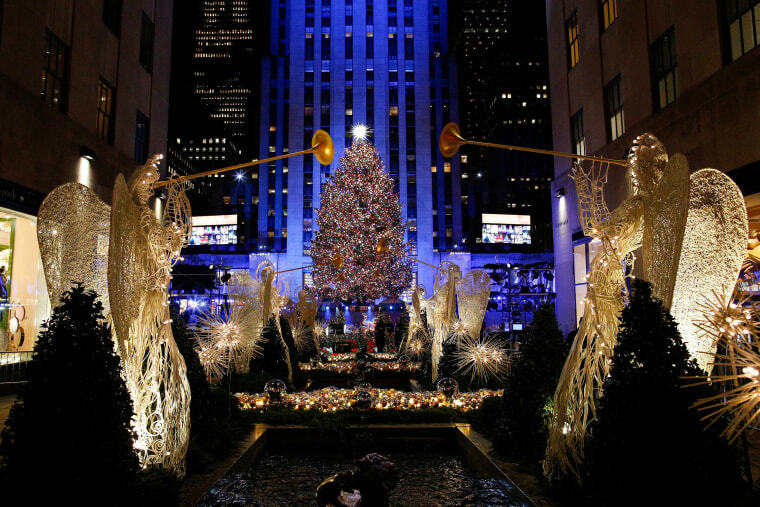 The Rockefeller Center Christmas Tree burst alive with 5 miles of LED multicolored lights and a 900-pound Swarovski crystal star. 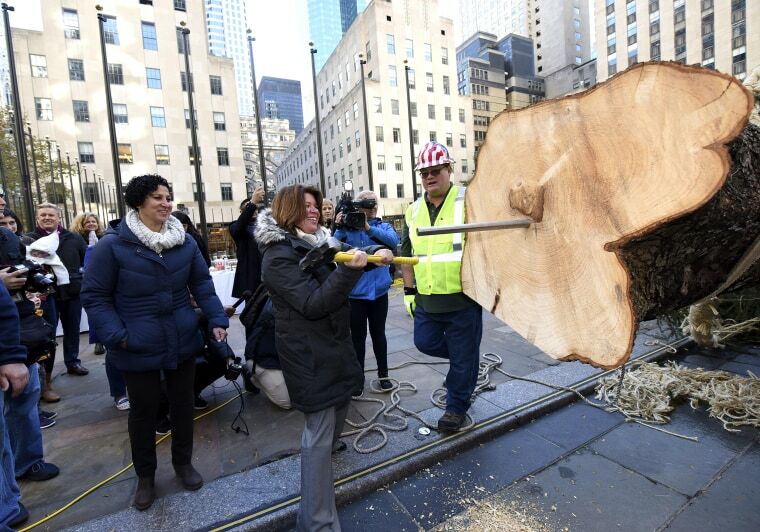 This year's Rockefeller Center Christmas tree, a 72-foot tall, 12-ton Norway Spruce, is cut from the yard of Shirley Figueroa and Lissette Gutierrez on Nov. 8, 2018, in Wallkill, New York. 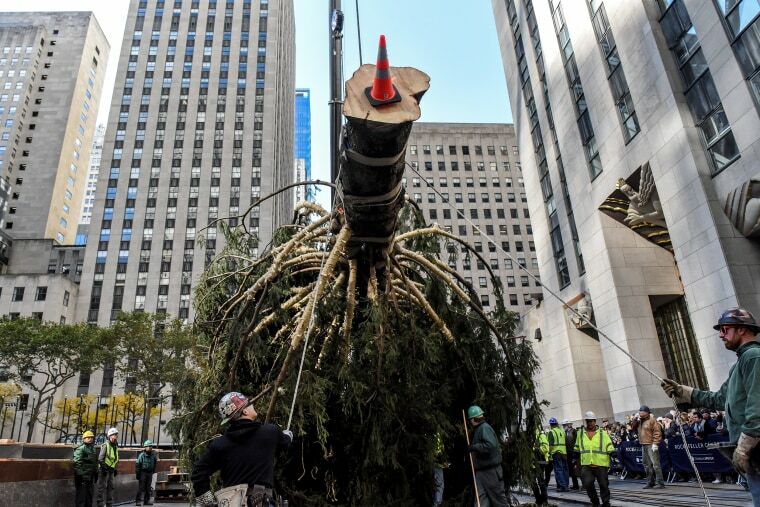 The tree was brought into New York City by flatbed truck and erected at Rockefeller Center on on Saturday. 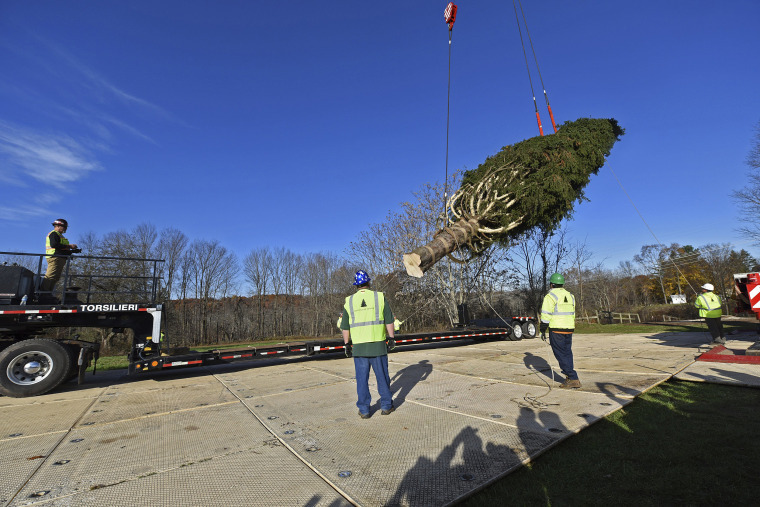 The Norway Spruce is craned onto a flatbed truck. 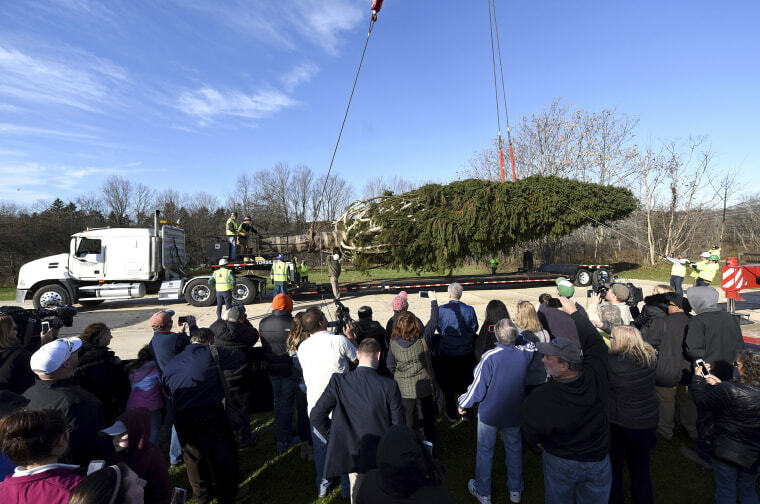 Residents of Walkill watch as the tree is prepared for its journey. 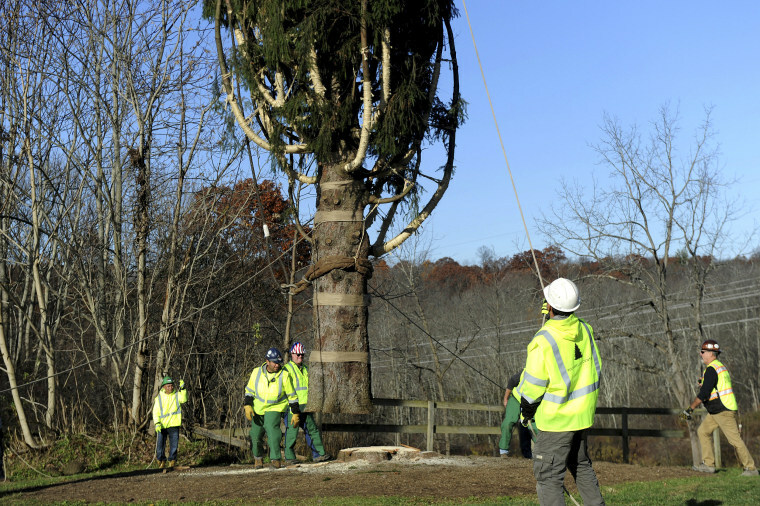 A worker adjusts cables inside the tree in New York on Nov. 10 after its arrival. 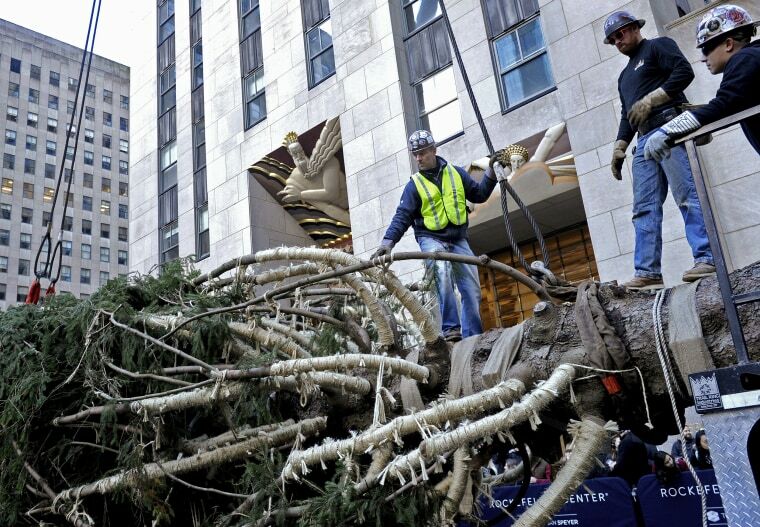 Workers prepare to raise the tree in Rockefeller Plaza on Nov. 10. Lissette Gutierrez, left, looks on as her wife Shirley Figueroa, who donated the tree, drives a spike into the trunk. 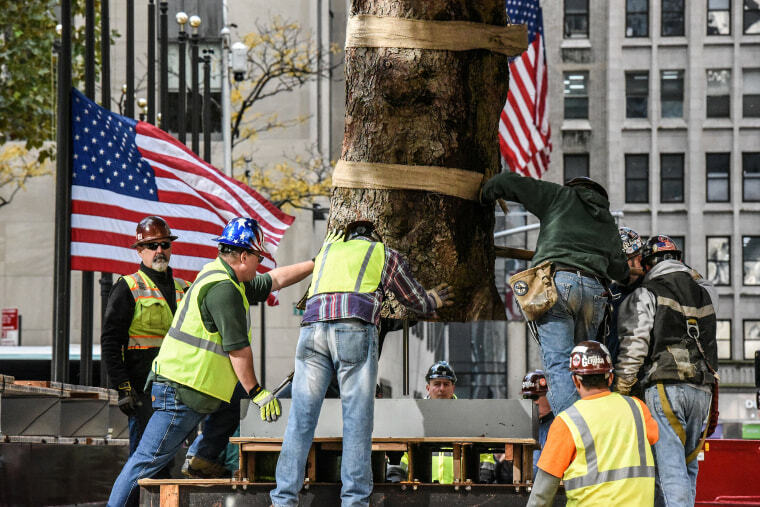 The majestic, 75-year-old tree is called "Shelby" by Figueroa and Gutierrez. 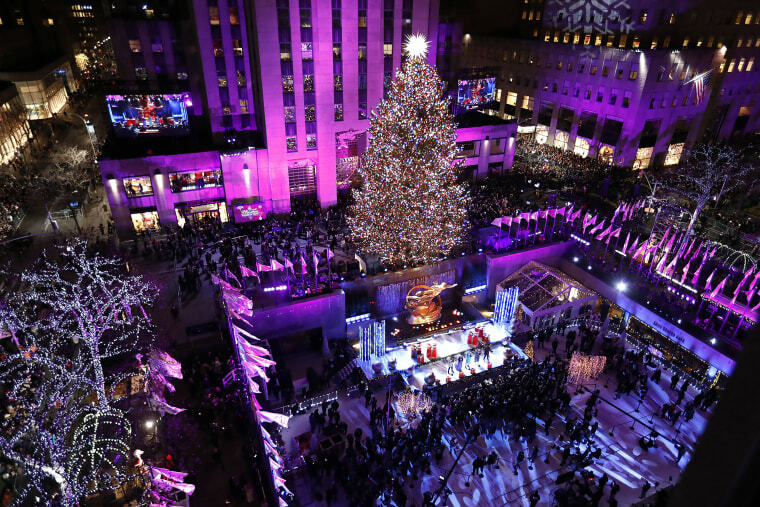 Every day this holiday season, an average of 800,000 visitors will gather around the tree to join in on the cheer. 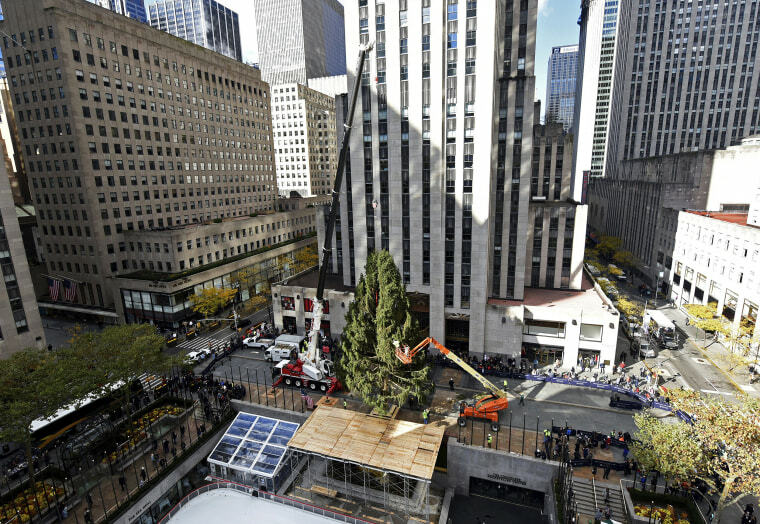 The tree is raised in the Rockefeller Center Plaza. 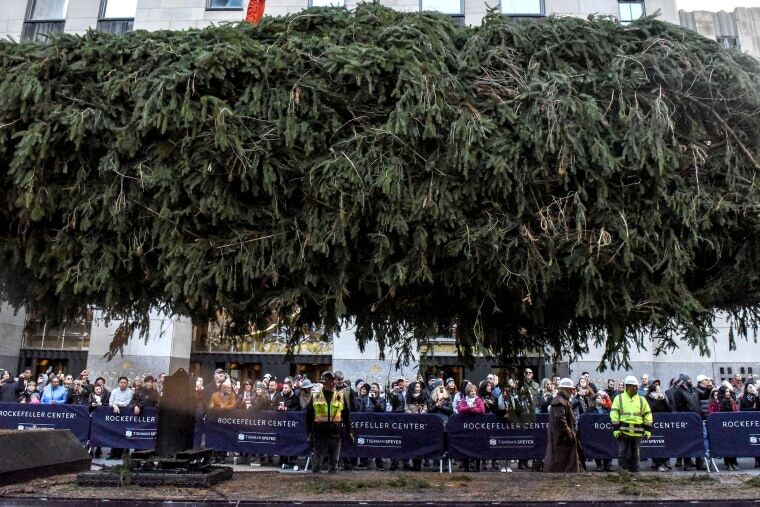 Spectators watch as the crane lifts the tree upright. 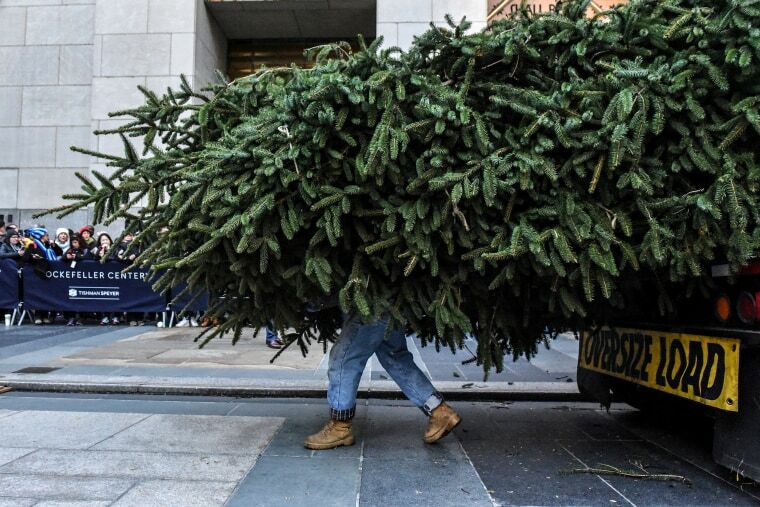 Workers place the tree in its stand. Once "Shelby" sits firmly in place on the plaza, she'll be wrapped with 5 miles of multi-colored LED lights and topped with a brand new star made of 3 million Swarovski crystals. 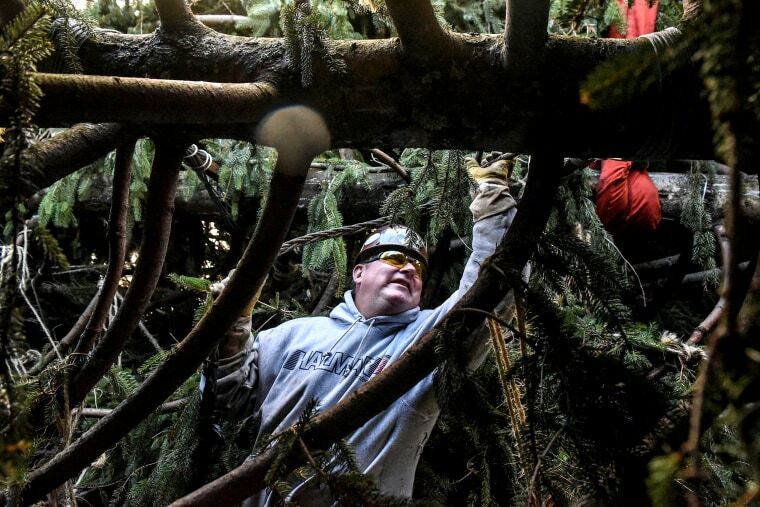 Once the season passes Habitat for Humanity will turn the tree into home-building lumber for those in need. 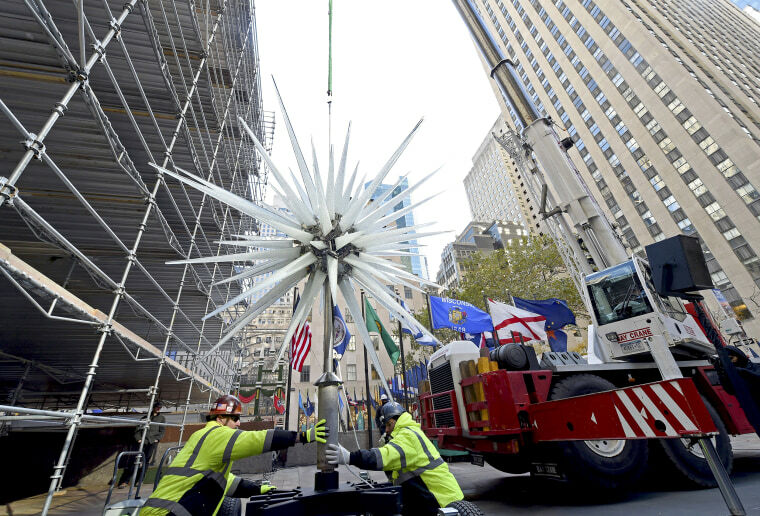 Workers prepare to raise the 2018 Swarovski Star to the top of the 72-foot Rockefeller Center Christmas tree on Nov. 14 in New York. The iconic star has been reimagined by architect Daniel Libeskind and features 3 million Swarovski crystals on 70 illuminated spikes. 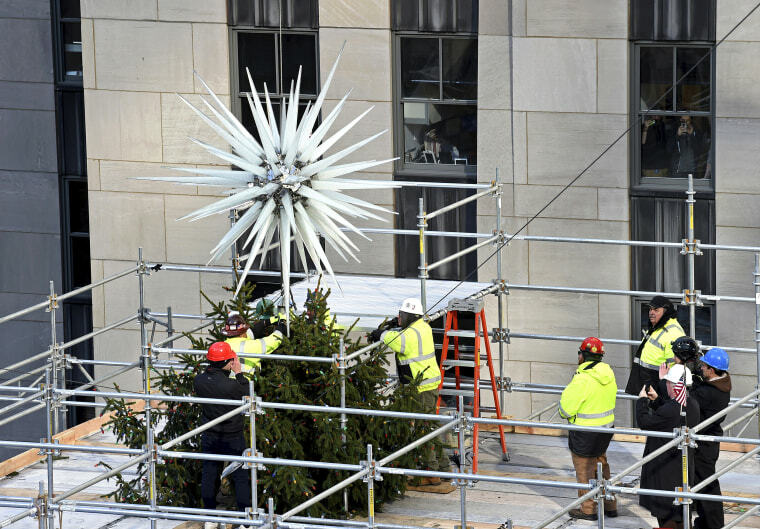 Workers secure the 2018 Swarovski Star to the top of the tree on Nov. 14. 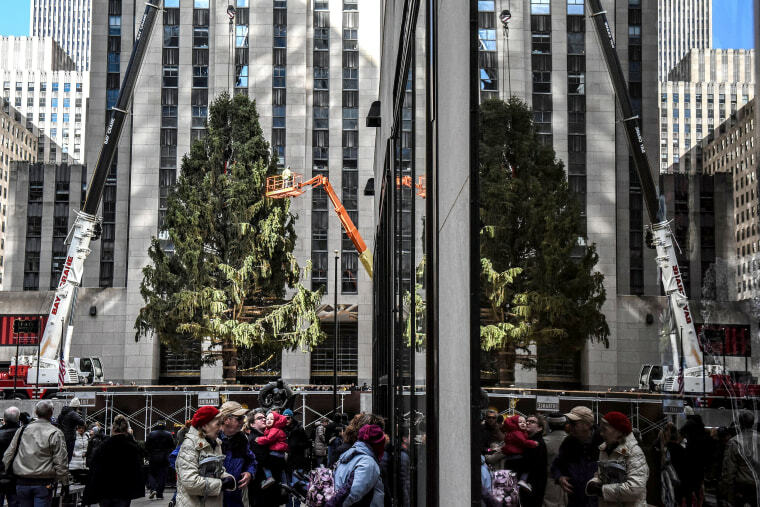 The tree is lit on Nov. 28 after Mayor Bill de Blasio flipped the switch. 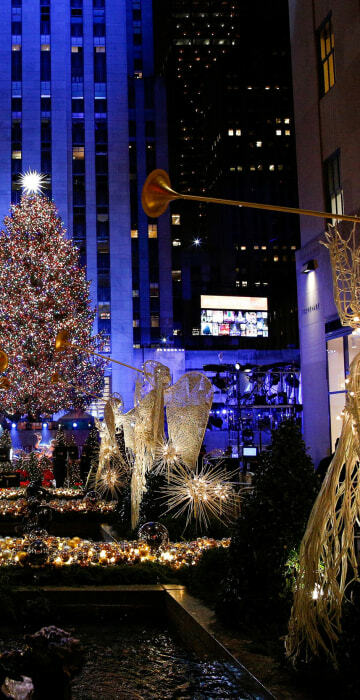 The tree will remain lit through Jan. 7.